I remember the moment very clearly. We had already had one miscarriage and I was so nervous and excited but trying not to get too hopeful. It was positive. Now what? I wanted to be chief. I suddenly had an overwhelming amount of angst. I knew I had to tell the program directors, but how? Would this change things? Could I wait until after voting? Suddenly my joy got shifted away from the baby and back to the reality of residency. I was excited and woke up my husband at 3 am after a 4p-2a shift. The next morning, I woke up wondering how I would tell my PD, my co-residents, and maintain the reputation I had earned as a hard working, reliable resident. Everyone of our stories is different. Finding out you are pregnant can be one of the most anxiety provoking and exciting moments in your life. As EM physicians we have been trained to see things others could never handle. We keep our cool in bizarre and stressful situations. Yet, it is amazing how a little pink line can make your steady hands shake and your sense of balance go awry. If being an EM resident wasn’t challenging enough, you now have an extra layer of complexity. We do organized chaos well: a full lobby, a code, and 3 ambulances pulling up- not a problem. We put a smile on our face, grab our stethoscope and see the next patient. The difference in this challenge is there is no training and very little control. So how do you master this new challenge? Can you be prepared? Is there a right way? Is there ever a good time? Although each situation is unique, we hope to help realize you’re not the first, the last or the only woman to try and have a baby during residency. Although specifically timing your your delivery is nearly impossible, there are factors to consider prior to getting pregnant that will affect the ease and duration of your maternity leave. Here are two schools of thought on this. One approach is to arrange your elective and vacation time to create a “maternity leave”. You will likely get between 4-6 weeks off and probably graduate on time. This can work well, particularly if your program lets you go back on a “light” rotation. Remember that the younger your baby is when you return to work the more confidence you will need in your childcare. This plan usually works well for those who have stay at home spouses or close by family. Another approach is to take your full 12 weeks off. [Editors note: 12 weeks is the amount of time guaranteed by FMLA] Taking 3 months will often result in an extension of residency and some time as a “super senior.” Some EM moms who have made this choice note that it was a little harder watching their classmates move on while they stayed with the newbies. 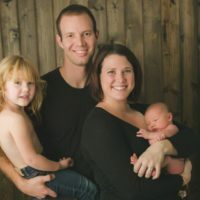 Others, however, say they would not have changed a thing and that the extra time with their newborn was worth the extra time at the end of residency. Your program may have restrictions for what rotations you can miss for leave, and having this discussion earlier in your pregnancy is often useful to allow maximum flexibility to complete any required rotations. The sooner you can look into the postpartum arrangements the better. One thing to consider is childcare. Options are sitters, nanny, au pair, family, daycare. Some hospitals will offer childcare. In addition, it is never too early to plan for breastfeeding, pumping, and feeding after you return to work. These considerations will be discussed in more detail in a follow up FemInEM post. This can be a source of angst, as stated in the opening anecdotes. Who do you tell? When do you tell them? Many women choose to keep the pregnancy private until the end of the first trimester or until after they have had a reassuring ultrasound, as we all know the statistics for early pregnancy loss. In general, telling your program directors and chiefs first or early on is key. These people should likely hear this news from you directly. While this pregnancy is your business and your right, it may greatly affect them. Giving them enough notice to plan accordingly will set everyone up for success. So now that you have planned ahead, as much as you can, and told everyone who needs to know, you can get down to the most important part. Having the actual baby. As a physician, one special consideration will be whether you will deliver in the same hospital at which you work. Who is going to be in the room? Never mind the family drama of in-laws, husband, parents, siblings etc… You have your extended family to consider: the whole hospital. Do you want residents in the room? Medical students? Nursing students? Discussing this with your OB ahead of time, and even choosing an OB who you know will abide by your decisions, will help decrease anxiety when the time comes. There is so much that goes into pregnancy, delivery, and post-baby life as an emergency medicine resident. We’ve started the discussion here, but will write more about postpartum decisions, and perhaps FMLA and other human resources issues in the near future. Sometimes it feels like there is never a good time, but we might argue that there is no time like the present. If you are ready, having a baby should not be dictated by your job. Becoming a mom is the greatest rollercoaster in the world, and we have no regrets about having a baby during residency and making it work with residency and the rest of life. This pieces was a collaboration between Creagh Bolger and Laura Thompson who both had kids while completing their EM residency!